On March 9, 1981, Hunterdon Hills Playhouse opened its doors with our first ever production, the comedy “Harvey.” Two hundred shows later, Hunterdon Hills Playhouse’s unmatched dinner theatre experience has earned us the reputation as New Jersey’s premier dinner theatre. 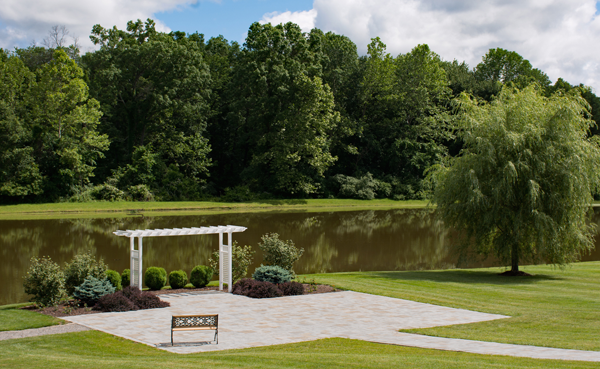 Located in picturesque Hunterdon County, New Jersey, our Playhouse specializes in matinee and dinner performances. From the moment you arrive at our 90 acre country estate, your unforgettable experience begins. Take a stroll through our meticulously landscaped grounds and enjoy the serenity of our lakeside terrace. Enter our lobby and you will notice the aroma of freshly baked breads and desserts from our on-site bakery. At your convenience, stop by the lovely boutique, Fabulous Finds, for unique and trendy pieces of jewelry and apparel. During your Hunterdon Hills Playhouse visit, you’ll be comfortably seated in our grand dining room, custom built with a tiered seating arrangement which allows you to enjoy the show from any seat in the house. Our gracious staff will accommodate your every request and make your experience one to remember. The dining menu features freshly prepared, table served entrees made with the finest ingredients available. A classic cherry wood bar, also located in the grand dining room, serves every beverage imaginable. After your delicious meal, stroll over to our Atrium and help yourself to over 30 varieties of dessert miniatures and selections of cakes sliced to order. 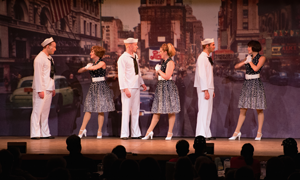 At Hunterdon Hills Playhouse, we strive to keep our season filled with energetic performances ranging from Broadway shows and comedies, to vibrant musicals, special music events, and more. A day spent at our Playhouse will truly be one to remember, shaping memories that will last a lifetime!